The Symposium, entitled “Designing an Effective Deterrence Program” held October 2-5, 2015 in Lansdowne, Virginia addressed the basic concepts of perceptual deterrence and how they can be integrated into practical strategies for Anti-Doping Organizations and laboratories. While the athlete community has a role to play in creating an environment that supports clean sport, the potential cost to the athlete of being caught and sanctioned is the key element in achieving deterrence. The symposium addressed the basics of perceptual deterrence, what we know about affecting behaviors with perceptual deterrence approaches, and how to deal with “special” subpopulations. In addition, a model that links testing numbers and perceptual deterrence goals was also discussed. Learn more about the happenings at the Symposium. 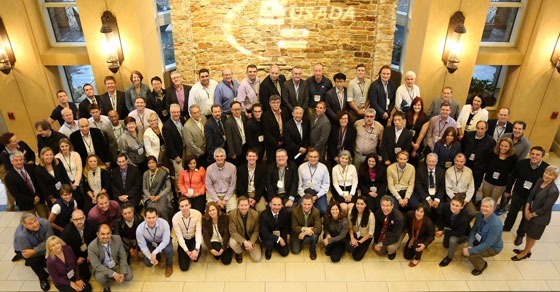 Held annually, the USADA Symposium on Anti-Doping Science is designed to enable the medical and science communities to gather and discuss the science behind doping with the potential for developing a uniform testing scheme, a research agenda and timeline, and to make the science and legal aspects of testing more efficient. Previous USADA symposia focused on the “Stimulation of Erythropoiesis and O2 Utilization” (2014); “Inside the Individual: Refining the Measurement of Biological Variation” (2013); “Deterring Athletes from Using Performance-Enhancing Drugs” (2012); “Detection of Growth Factors” (2011); “Emerging Technologies” (2010); “Detection of Enhancement of Oxygen Transport: Seven Years of Progress” (2009); “Mitochondria to Proteins: New Challenges for Anti-Doping Science” (2008); “Oxygen Transport and Energy Production” (2007); “Intra-Individual Reference Ranges” (2006); “Muscle Development & Recovery: Implications for Doping Control” (2005); “Detection of Human Growth Hormone Abuse in Sport” (2004); “Application of Gas Chromatography – Combustion – Isotope Ratio Mass Spectrometry to Doping Control” (2003); and “Oxygen Transport Enhancing Agents and Methods” (2002).